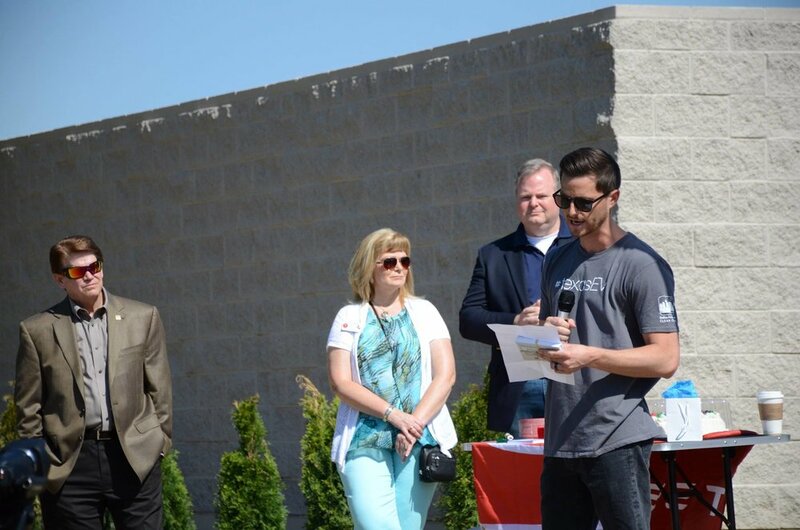 On Saturday, May 13th, 2017 Tarrant County's first supercharger was christened for use by the Mayor of Arlington with City Council Members, NCTCOG & NTTOG. The Convention Center was very helpful in providing access to most anything we could need to make it a successful event.Including separate parking for Teslas & even our own trash can! 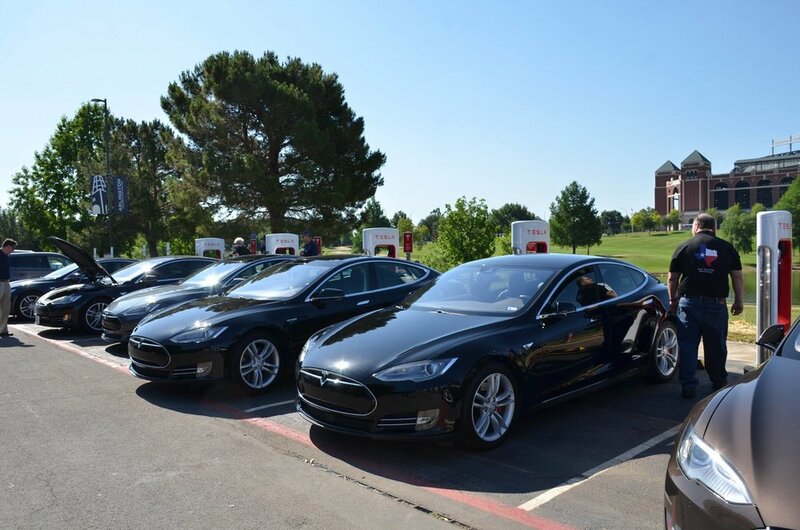 With now, over 10,000 EV's on the road in Texas and 1,700 Teslas in North Texas alone the ever expanding Tesla supercharging network is a blessing for Tarrant county residents and businesses. This will be DFW's first Urban Supercharger allowing for people in Condos and Apartments to give more consideration to owning a Tesla, by providing access to a really quick way to power up when needed. It will also attract people to the Arlington to juice up, stretch their legs and spend their time and money in the area. While there are not many direct amenities in this location the Convention Center provides access to restrooms and the site has walking paths and spectacular views of Globe Life Park & ATT Stadium.Giving people a Taste of what DFW has to offer in entertainment. Six Flags & Hurricane Harbor, as well as dining, are within a short distance of the Supercharger as well. Thank you to all of our members, the City of Arlington, the Arlington Convention Center & Mayor Jeff Williams for making this a successful event.